Austria's highest ski resort is known for its snowsure slopes and family-friendly facilities. The fun extends into the evening in the local pubs and après-ski bars. The road up to the resort of Kühtai at 2,017 metres above sea level is long and winding, passing through stunning alpine landscape as it makes its way up to this sunny plateau with many hotels and home to what is Austria's highest ski resort. Thanks to their exceptional altitude, Kühtai's slopes sometimes even remain open until early May. Kühtai is first and foremost known as a family-friendly ski area. Advantages range from special hourly ski passes and very reasonable prices to excellent facilities such as conveyor-belt lifts and easy draglifts designed for the needs of children. Snowboarders and freestylers will enjoy the funpark, while advanced and expert skiers can explore the resort's many red runs. Away from the marked slopes there is plenty of interesting terrain for ski touring enthusiasts, especially around the Sulzkogel (3,016m) and the Pirchkogel (2,828m) mountains. As well as the resort's many huts, Kühtai also has plenty of pubs, restaurants and après-ski bars such as the Dorfstadl. Twice a week the slopes are lit up for night skiing, with the piste down from the Zum Kaiser Maximilian hut open right through until 11:30pm. Lift passes for Kühtai are also valid for the nearby resort of Hochoetz, which can be reached using a free shuttle service. 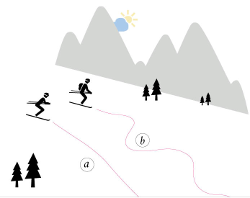 This website displays the ski resort’s measured kilometres of slopes (variant a). Kühtai lies at an altitude of 2,020m and is surrounded by more than 25 mountains over 2,000 m and 20 mountains over 3,000 m in the Stubai Alps.